On behalf of the WTO Secretariat, it has been our pleasure to host this session of the Global Market Information Group. I understand you had an intensive and productive programme today, touching upon many interesting issues – including the implementation of the WTO’s Trade Facilitation Agreement as well as the ongoing agricultural negotiations in the organization. I am also glad to note that you will have further opportunities to continue your interactions throughout the week. This includes, of course, tomorrow’s seminar on Artificial Intelligence for Market Intelligence and the Global Grain Geneva conference. I hope you will continue building on this dialogue. Since its inception, AMIS has provided a platform for successful collaboration among countries, international organizations and the private sector. I think that this collective effort to address price volatility and identify potential threats to global food security is very important. 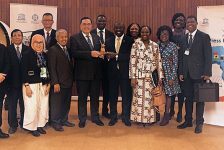 It helps to complement other important initiatives, such as the work of the Committee on World Food Security. Whether it is new research or market and policy information, your inputs into the AMIS platform are essential. This work has helped ensure greater transparency in market information, enhanced policy dialogue and coordination. By bringing together data from a number of countries and international organizations, the system promotes a rich and diverse source of perspectives which are essential for policy makers. And while prices of food crops are less volatile today, I think it is equally important that AMIS members remain vigilant. Adverse climatic shocks or other fluctuations could quickly escalate and have an adverse impact. For example, the latest FAO Food Outlook report shows that rising shipping costs are already affecting food import bills. So I encourage you to keep up the good work. Helping the international community address the challenges posed by highly volatile food prices can play a big role in combatting uncertainties in commodity markets. It also helps to ensure an open, stable and predictable playing field for all. In uncertain times like this, this is especially important. Growth and investment are yet to return to their pre-crisis levels. We are also seeing a growing backlash against globalization, as well as uncertainties posed by natural disasters, geopolitical tensions, or protectionist rhetoric. Some would argue that the challenges we face today raise questions about the future of global economic cooperation. However, I think that it is precisely in moments like this when we need global cooperation the most. It is essential for global economic stability. This is something that is at the heart of our work at the WTO. 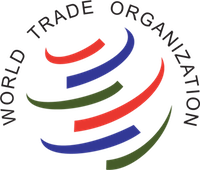 This organization provides a framework to ensure that trade flows as smoothly and as predictably as possible, as well as a dispute settlement system which ensures that trade differences do not spiral into larger conflicts. This system was constructed as the world’s response to the chaos of the 1930s, when rising protectionism wiped out two thirds of global trade. In the 2008 crisis the system was put to the test, and it passed. We did not see a significant rise in protectionism. The share of world imports covered by import-restrictive measures implemented since October 2008 is just 5%. Of course it could be even lower – but it shows that the system did its job. While the system is not perfect, it is essential. Our latest monitoring report – which focuses on the G20 – was published just last week. It shows that for the most recent six month period, we have actually seen the lowest number of trade restrictive measures since the financial crisis. This is positive news, but we shouldn’t over-interpret these figures. We will continue monitoring the situation. With all of this in mind, we must keep strengthening and improving the system, delivering new reforms and resisting the creation of new barriers to trade. This is, ultimately, in the hands of members. Our next Ministerial Conference is in Buenos Aires this coming December, and it can be an opportunity for progress. Conversations are ongoing on a number of fronts – including on agriculture as you have been briefed. I hope that we will leave Buenos Aires with members committed to strengthening the trading system and with a clear path forward for our future work. I have no doubts that cooperation at the global level will be essential to ensure that the global economic system is as strong and as inclusive as possible. Over recent years we have been enhancing our partnerships with other international organizations, including our AMIS partner organizations. I am convinced that AMIS’ work will remain essential to ensure increased transparency and improved policy co-ordination in international commodity markets. 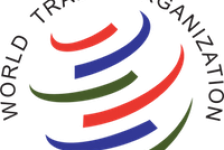 The WTO Secretariat stands ready to help in these efforts. In closing, let me thank all partners for your engagement, knowledge and commitment that you have shown to AMIS. I also want to pay special gratitude to the FAO Grains Team, and particularly to AMIS Secretary, Mr. Abdolreza Abbassian, who plays a key role in ensuring the smooth functioning of AMIS. I look forward to working with all of you to ensure that this initiative goes from strength to strength.